As of 19th September, 2016, we are changing the Asha Balti House weekly opening times, to the following: Main Restaurant and Takeaway: Monday - Sunday: 5pm - 11pm. Buffet Restaurant: Thursday - Sunday: 5pm - 11pm. We looking forward to your visit and thank you for your support. People’s Choice Awards 2016 – Please Vote for us! Wales online are running the People's Choice Awards 2016, favourite restaurant in Wales. Please vote for us! As our loyal supporters and to help showcase Ty Asha Balti House, please vote for us by visiting the following link. Please click on the link below and follow the instructions to vote for us. On the link, under the 'Your Vote' section, scroll down for Ty Asha Balti House (near the bottom of the list). http://www.walesonline.co.uk/whats-on/food-drink-news/peoples-choice-awards-2016-vote-10905444 Voting closes 4th March. Thanks for all your support! We're excited to share a new film with you featuring our home town - Llanrwst and the surrounding attractions. Take a look at the film below and look out for Asha Balti House at the end! We hope you'll visit and enjoy all the town has to offer! 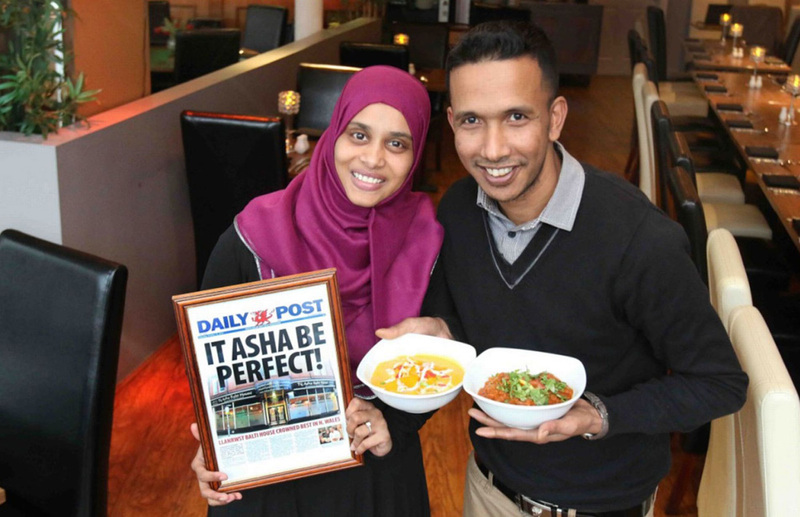 Daily Post – Best Curry House in North Wales 2015! Nominated as one of Top Welsh Restaurants!